English is increasingly becoming the world's lingua franca. If we are not native speakers of one of the many varieties of English, then we may be students of English, or use English regularly for academic or business purposes. The English Language series, which is international in focus, aims to synthesize the wealth of existing linguistic research both on and in English. Each volume in the series is designed to present these findings in an accessible, enlightening and entertaining way not only to students of English linguistics but to learners and users of English across the globe. The English Writing System describes how writing is not simply ancillary to other aspects of language but vitally important to almost everything we do, from signing our wills to sending a text message. 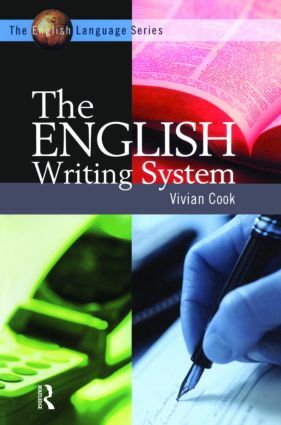 This book discusses the mechanics of the writing systems of English; the different ways people process words on a page and the mistakes they can make; how children and second language learners acquire these systems; the historical development of the language and the progress of writing technology: in short, the effectiveness of the writing systems of English. Combining an academic perspective from linguistics and psychology with insights into everyday spelling mistakes, The English Writing System will interest students and teachers of linguistics, literature, the English language, psychology and education.